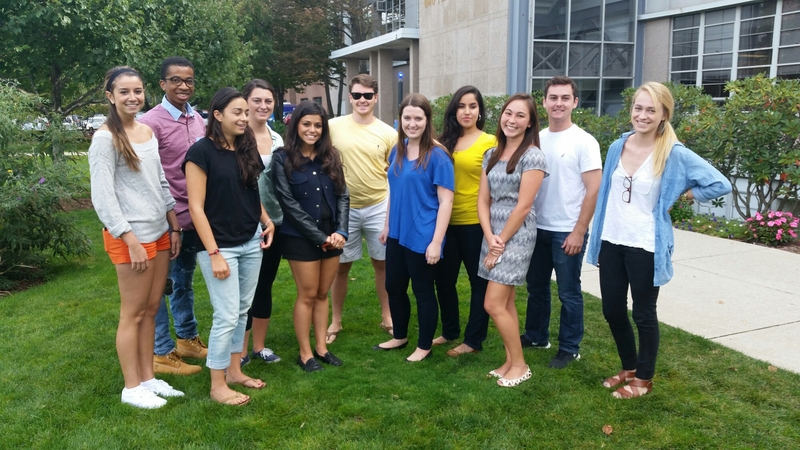 Smiling for the camera: Panciera’s JO304 Multimedia Storytelling class on BU COM’s front lawn in fall 2014. I created this blog as a teaching tool — for myself and my Boston University Journalism 304 class in multimedia storytelling. It’s most definitely not ready for prime time. But someday … perhaps after I finish grading my students’ blogs. Which are much, much better than mine. ESPN vs. NYT: Whose focus wins what audience on this Sunday afternoon? I think I could have predicted this one. Twitter’s overall top trend is the People’s Climate March. But the top trends showing on The Providence Journal’s Twitter feed are — football, football, football. Author Andrea PancieraPosted on September 21, 2014 November 30, 2014 Categories journalism, UncategorizedTags football, TwitterLeave a comment on ESPN vs. NYT: Whose focus wins what audience on this Sunday afternoon? Storytelling in the digital age Blog at WordPress.com.